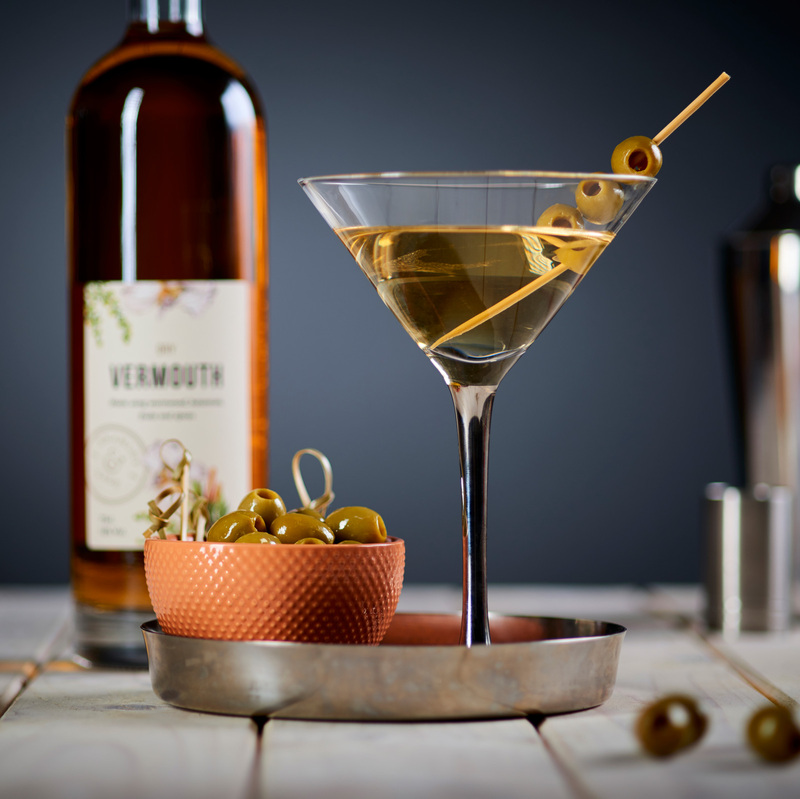 Our fabulous Dry Vermouth is made using wormwood, botanicals, fruits and spices to impart a rich flavour with subtle herbal notes. We encourage you to experiment with the ratios until you find your perfect moment. Shake the ingredients together with plenty of ice and strain into a chilled martini glass. Garnish with an olive or lemon twist, relax and enjoy. Posted in Liqueur Serves, Vermouth.